You’ve probably been experiencing a bit of color overload lately. First came millennial pink and we all bought up every rosy piece of clothing in sight. Then it was all about lavender, hot pink, kelly green and Gen Z yellow in that order. Basically, our wardrobes have morphed into a rainbow of vivid shades and we’re just waiting around for the next color to drop. Well, wait no more because the next It shade is here and the good news is, it’s not just one color but a whole rich palette, making it easier to keep your wardrobe relevant. 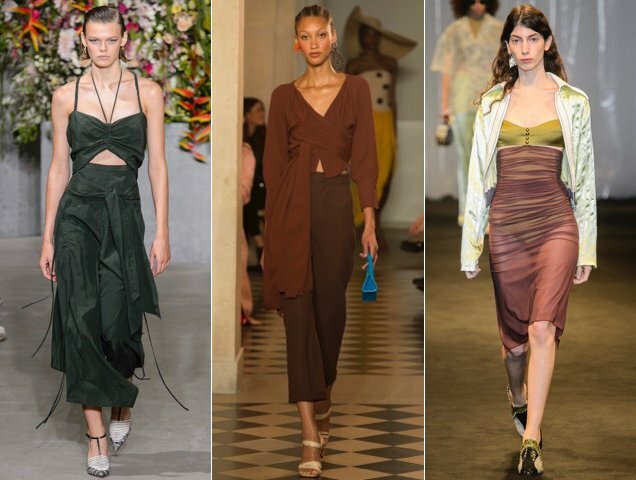 Chocolate browns, reddish clays, sandy tans and forest greens have been quietly taking over summer, thanks in large part to a bounty of Spring 2018 and Resort 2019 collections boasting the surprisingly impactful hues. In the mix of soft pastels, navy blues and floral patterns, Jason Wu decorated his Spring 2018 offering with dark green dresses and suiting some might argue are more fit for fall. While the Jacquemus Spring 2018 show featured those Instagrammable outsize straw hats, it also advocated for neutrals and coffee brown being summer staples. Acne Studios’ earthy offerings were given tons of texture via quilting, perforations and gathered fabric. And the trend is set to continue through fall as designers favored earthy colorways for their Fall 2018 collections. Alberta Ferretti went with the layered look for fall and in the midst of a sea of black and high-shine ensembles, olive, khaki and brown were used to create some of the most memorable outfits. If you’re looking for a roadmap on how to navigate the tricky trend once the weather cools down, let Chloe be your guide. The fashion house’s Fall 2018 collection was full of cozy separates in varying shades of brown. Even the usually summery Zimmermann took a dark turn for fall, like pairing a motorcycle-style bomber jacket with a ruffled copper skirt and some boho touches (aka frilly cuffs). 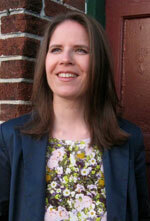 Getting the earthy look is pretty easy since most retailers have already embraced the trend. Here are 31 must-have pieces perfect for the transition from summer to fall and way beyond.